Courage. The word itself comes from the French word for heart. So, when we act with courage, it’s an act of the heart. Bold courage is a brave heart. 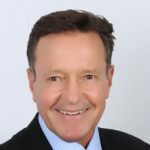 Robert “Dusty” Staub, who speaks and writes about courage, says “Courage is the cardiovascular system of the soul.” And, like exercise for our bodies, the cardiovascular system of the soul – our courage – can be nourished and strengthened by small, daily exercises. 1. Try Courage – The courage of first attempts. Seek and act upon your courage to learn and grow. Step up to the plate. Courage drives action. Action drives results. 2. Trust Courage – The courage to step into the unknown, into ambiguity. The courage to let go, to delegate and trust. It’s experiencing vulnerability. 3. Tell Courage – The courage of “voice” or assertiveness. The courage to dream and to express that dream despite critics, naysayers and your own self-doubt. The courage to tell truth to power. The courage to confront and to be confronted. Most of us think about courage as the big, bold actions of heroes. Recently, I was talking to a long-time friend and fellow Air Force Academy graduate, Tom Griffith. In the first Gulf War, Tom’s aircraft was hit by a surface-to-air missile and shot down. After evading Iraqi forces for two days, he was captured and became a prisoner of war. After his release and a full Air Force career, Tom joined the State Department, serving in Haiti and South Sudan (he now lives in Arlington, Virginia). So, Tom’s seen a thing or two and he sums up his reflections and perspective on government service and courage with the following thoughts. Knowing the right thing is just the first step. Then, we must act and actually do the right thing. That isn’t always easy, and that may be what people think about when it comes to courage. t can mean risking your life in extreme circumstances, but it can also mean risking your career or a friendship. Courage is usually not a one-time event and it is never too late to do the right thing. You don’t give up because you failed once or even twice. Courage means doing it right the next time. 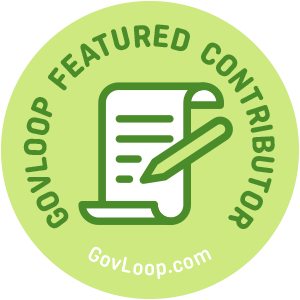 Rick Pfautz is part of the GovLoop Featured Contributor program, where we feature articles by government voices from all across the country (and world!). To see more Featured Contributor posts, click here. I love this. Need to jot some of these quotes down for safe keeping. Looking forward to the rest of the series, Rick! Very insightful points made here! Impactful enough that I can even overlook the Andrew Jackson quote! (Not a fan!) Can you imagine if we all lived our lives with such courage, what a different place the world would be?